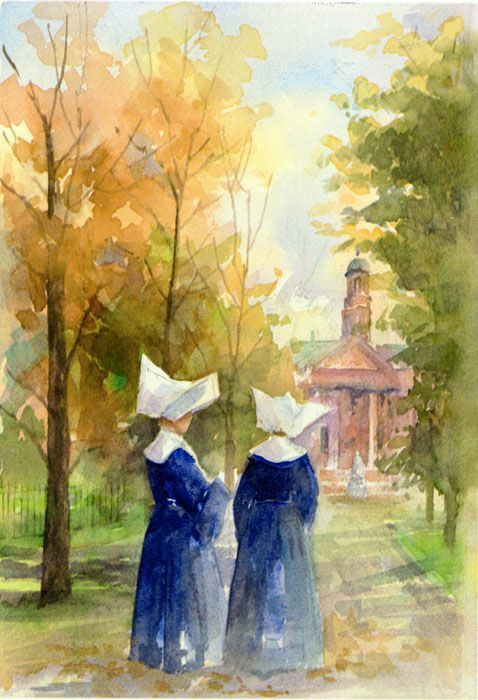 Elizabeth Ann Seton--better known as Mother Seton-- established the American Sisters of Charity. 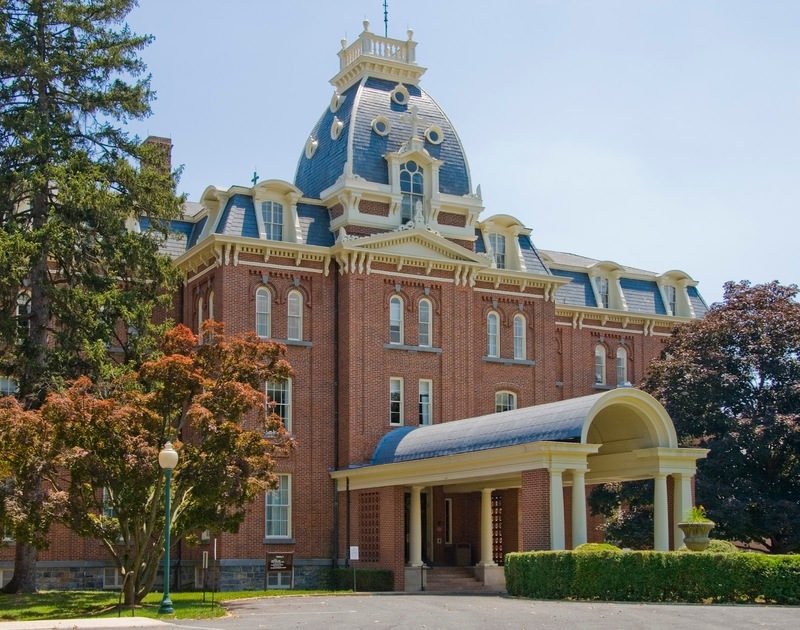 She founded what was to become St. Joseph College in Emmitsburg, Maryland in 1809. Originally, it was a charitable Catholic women’s academy. Mother Seton was later made a saint. This Catholic academy evolved into a liberal arts college for women. St. Joseph’s College was closed down in 1973. The U.S. Government then bought the property to house the National Emergency Training Center. the limbs became infected with gangrene and the only treatment was to amputate. The one shining light of hope at St. Joseph during this war were Mother Seton’s Daughters of Charity who earned the nickname, “angels of the battlefield” for nursing both wounded Union and Confederate soldiers. During the years the campus was still St. Joseph’s College numerous strange encounters were reported by the students--including both sights and sounds. Numerous students stated they heard the screams and moans of the wounded Civil War soldiers across the campus. Some accounts even mentioned witnesses who saw the old field hospital with its bloody surgeries--while walking across the campus at night. Another account mentions several female witnesses who saw a nurse carry out a bucket of amputated legs and arms. Students also reported the putrid smell of blood throughout the area. One apparition that was seen at night was a friendly Civil War soldier that stayed close by as female students walked across the campus. Another ghost seen often was Mother Seton. Reports state students spotted her on campus, she would smile at them and then rush off. It was believed she was in a hurry because she needed to tend to injured Civil War soldiers. 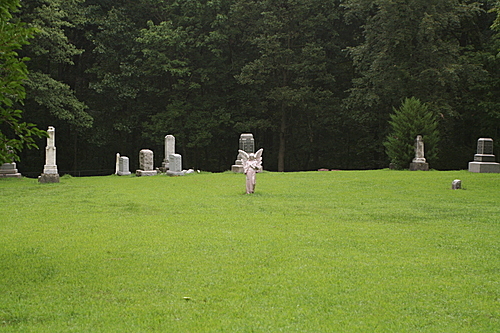 South East Grove Cemetery is located in Indiana near the town of Crown Point. 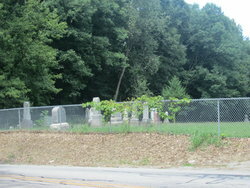 This old cemetery sits near a country road. 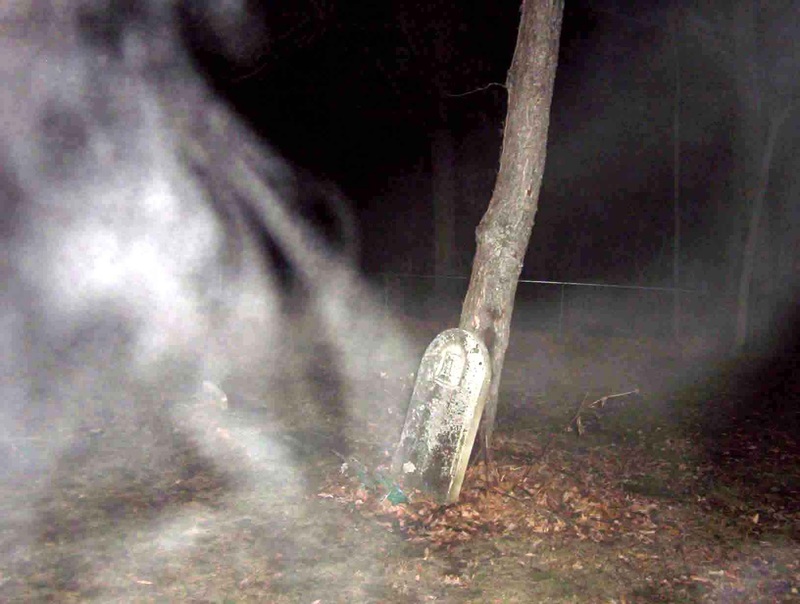 There is a legend connected to this cemetery that has been told since the late 1800s. It is said there was an injustice done here over 180 years ago which resulted in the area being cursed. Others feel the strange activity experienced at South East Grove is because this small cemetery is haunted. The most common story told involves a band of gypsies that were passing through the area in the 1820s. They stopped and camped on the land that was later used for the town cemetery. Some of the townsfolk found the gypsies fortune telling and the jewelry they sold fascinating but most of the locals were not welcoming. They were suspicious and felt these strangers were there to rob them. The leader of the band was approached and ordered to gather his group and move on. But it was late fall, and before the band could do this several members where stricken by influenza. When several members died the Gypsy leader approached the local doctor. But the residents were afraid the disease would spread so the doctor refused his assistance. Now angry, the gypsies did pack up but it is said before they left the area they buried their dead on the land and then cursed the town for being so unwelcoming. Two Crown Point men checked out the Gypsy campsite after they left. They noticed several freshly dug graves. When they returned to town they were disturbed to find blood on their shoes and the bottom of their pants. After this, a rumor began that the Gypsies cursed the area. This belief persisted, for when this small plot of land was later used for the local cemetery many nicknamed South East Grove-- The Gypsies’ Cemetery. This rumor was kept alive in part because more witnesses claimed they found a sticky red substance on their shoes that appeared to be blood, after visiting this area. Most residents of Crown Point today dismiss this old curse but others feel regardless of whether there was a curse or not this cemetery is haunted. One prevalent report is that strange lights are seen. 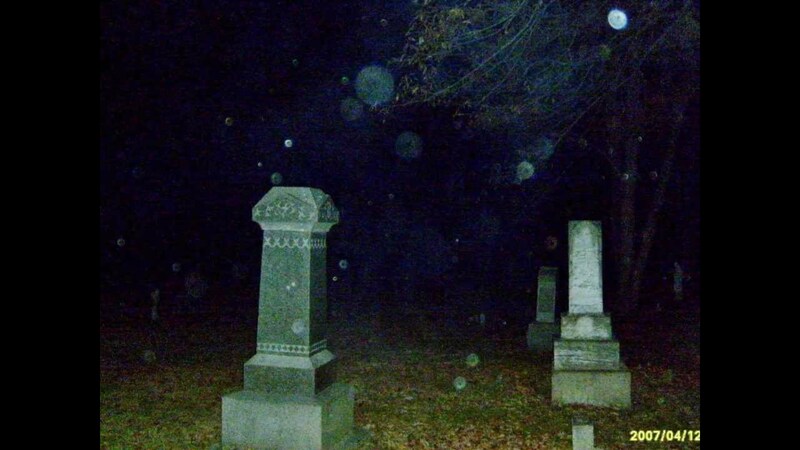 It is said that a large ball of light has followed cars after they left the cemetery. Other reports state this light also follows cars that just pass by. Many report feeling extreme cold spots while in this cemetery--even on warm days. People report that dogs will not enter the area--often barking incessantly. One modern day Gypsy family visited South East Grove, at night, recently. The father walked to the back of the cemetery where the Gypsy graves are located. He then rushed back to the rest of his family and announced he wanted to leave. He told them he had gotten the feeling something evil was watching him. He sat in their car until the rest of his family was ready to leave. Mist forming a face, click to enlarge. Others have backed up his statement. While visiting the cemetery they felt as if someone was watching them the entire time they were there. Witnesses have also reported seeing mists that slowly take on human forms. Many castles in Poland have legends and myths that surround them. 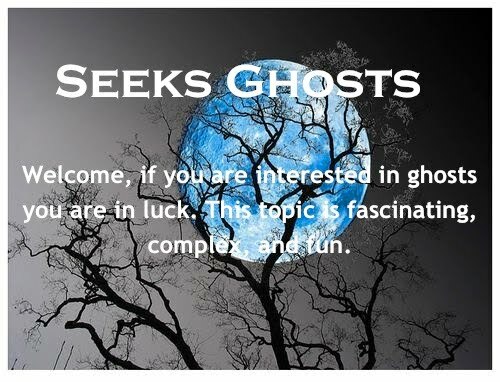 These stories often include tales of lost love and hauntings. 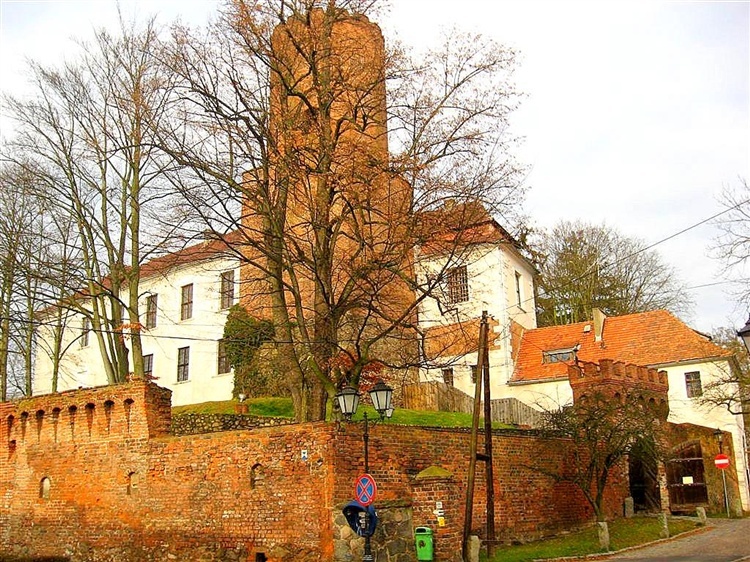 A fierce Polish knight named Marek in the 15th century, claimed Lagow castle for his own. 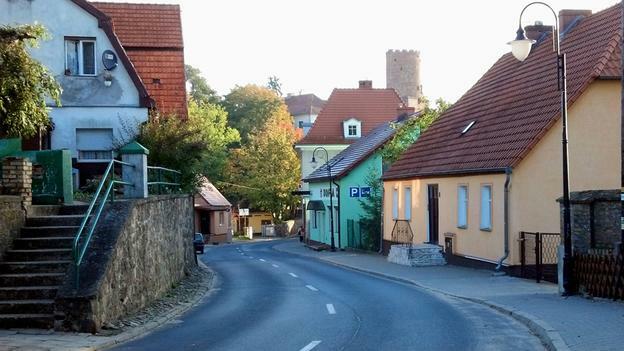 The Germanic Teutonic Knights had built this castle a hundred years before. He at one time was beloved by the townspeople but when his wife died he became lonely and embittered. His younger beautiful sister, Dorota came to live with him. Marek took a prisoner during a battle he fought just outside the town--a Prussian Prince named Boris. He imprisoned Prince Boris in his castle’s dungeon. Prince Boris began to sing every day. It was believed he did this to keep his sanity for he was enclosed in a dark, damp place. It wasn’t long before the townspeople started to flock to the castle to hear him sing--for Prince Boris had a fine voice. Marek’s sister Dorota became enamored by the Prince’s voice. She bribed the guards so she could meet Boris. After this she visited him on a regular basis--the two fell in love. Dorota told her brother she wanted to marry Prince Boris. Marek disapproved and arranged for Dorota to marry an elderly knight that lived in a neighboring community. During her wedding reception at the castle Marek had Prince Boris brought up to the great hall. He commanded the prince sing for his guests. Boris refused. Marek now angered ordered the guards behead the Prince. They then threw his body into a nearby lake. Dorota who witnessed this terrible event died from a broken heart before her marriage could be consummated. Lagow Castle seen from the lake. Soon after, her distraught ghost was seen wandering along the shore of the lake where Prince Boris was thrown. She is also seen walking through the town and in the castle. Witnesses that live in Lagow today state they have seen her ghost. They also state that during the summer months in the evening they hear Prince Boris singing near the castles’ dungeon and by the lake. 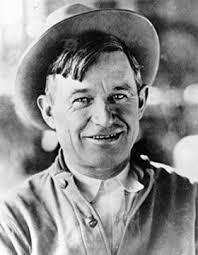 Will Rogers was a popular Cowboy Philosopher, humorist and one of America’s first political satirists in the early 1900s. At the time of his tragic death he was a beloved entertainer who had performed his popular stage act across the U.S. and around the world. Roger’s was born in Oklahoma and spent his youth riding and roping. He was an indifferent student but he was highly intelligent. In 1898, he left his home and worked as a cowboy in Texas. He then traveled to Argentina were he worked as a gaucho. When he returned to the U.S. he worked for Texas Jack’s Wild West show as a trick roper. Rogers quickly realized the audiences loved his quick humor as much as his tricks. He then created a vaudeville act that centered on his witty commentary about world events. He still performed rope tricks but now on a stage instead of on a horse. Rogers’s warmth and affinity for the common man were genuine which made him a big star. He worked in films, wrote seven books, performed on the radio and wrote a series of highly popular newspaper and magazine articles. He often performed in order to raise money for charitable causes. He died at the age of 55 in a plane crash. 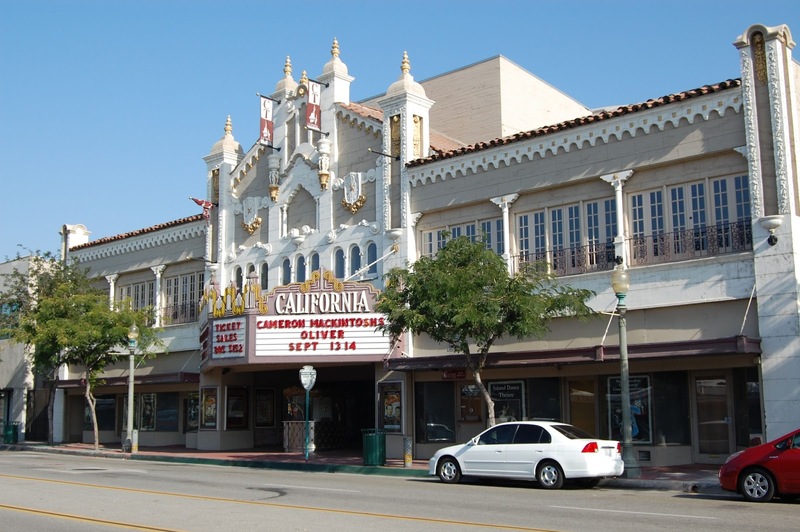 His last public performance was at the California Theatre in San Bernardino, California. This theatre first opened in 1928 and was the site for many movie studio premieres. Rodgers performed here in August of 1935 before heading to Alaska. He was traveling on a plane with his good friend and aviator Wily Post from Fairbanks to Point Barrow when Post landed his Lockheed Orion just miles out of Point Barrow. Post thought they were lost and stopped to ask directions. Once back in the air, the planes engine stalled and it plunged into water facedown. 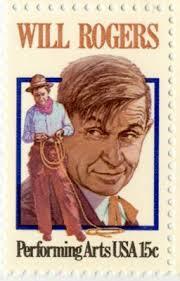 Both Wily Post and Will Rogers were killed. Since his death, patrons and employees at the California Theatre state that Rogers haunts this old theatre. There are several reports that his apparition has been seen over the years in the dressing room he used during his last performance. One account states a group of shocked visitors watched his ghost in this dressing room as he prepared for a performance. Changing his clothes, putting on make-up etc. This castle located in Odsherred, Zealand, Denmark is named after a “drag” which is a narrow stretch of land that the Vikings used to “drag ships across” in order to avoid the dangerous waters north of Zealand Island. In the 12th century Peder Sunsen, the Bishop of Roskilde designed Dragsholm. Today, 100 ghosts haunt Dragsholm. Its long tragic history is believed to be the reason for this. 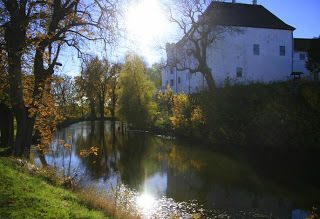 In the Middle Ages Dragsholm was used as a fortification by its noble owners. 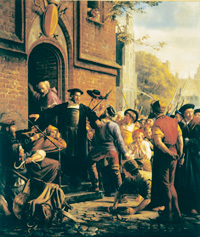 After the Protestant Reformation, in 1536 King Christian lll degreed Denmark a Lutheran state--all monasteries, abbeys, church schools and cathedrals were ordered to denounce their Catholic beliefs for Lutheran ones. For the next 128 years, 1536-1664, Dragsholm was used as a prison for ecclesiastical and noble prisoners. Joachim Ronnow, the last Bishop of Roskilde was imprisoned within his own castle in 1436. It is said he haunts Dragsholm’s tower where his captivity began. Ejler Brokenhuus, a nobleman known as the “mad squire” was also imprisoned in the castle’s tower room. He was chained to one wall. It is not known if he became mad before or after his imprisonment. 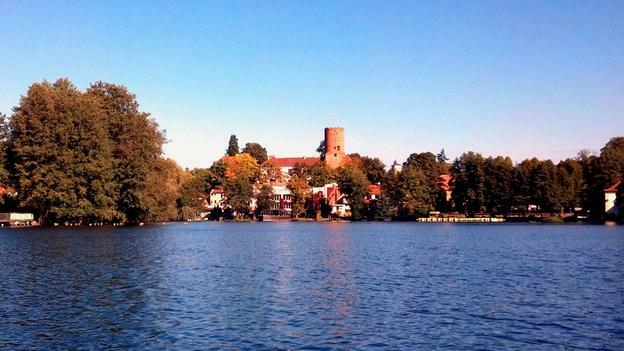 Today, Dragsholm hosts two restaurants, conference rooms and a hotel. Visitors to the castle report hearing moaning as well as Catholic chanting coming from this haunted tower room. 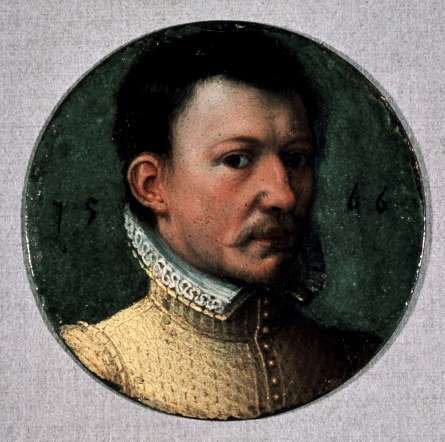 Mary, Queen of Scots third husband James Hepburn, the 4th Earl of Bothwell, was captured in Norway in 1573. King Frederick ll of Denmark had him imprisoned at Dragsholm. One report states he was given only enough food and water to keep him alive. He then was chained to a pillar and left. Before he died in 1578, he went mad. Witnesses state they have seen the Earl of Bothwell riding into the castle courtyard in his carriage. Several reports state people have heard his horses’ hooves hitting the cobbled yard late at night. One female ghost that haunts Dragsholm is nicknamed the White Lady. It is believed she was Celine, a daughter of the noble Bovles family. She fell in love with a commoner that worked at the castle. She then became pregnant. When her father discovered her secret he ordered servants place her in one dungeon, chained to a wall, they then bricked her in while she was still alive. This story is believed confirmed because in the 1930s workmen at Dragsholm repairing the plumbing found a skeleton enclosed in a small space, wearing a white dress. The White Lady‘s apparition has been seen at night wandering about the castle. Not surprising, it is stated that she is looking for her lost love. Other witnesses have reported hearing her moan. Another ghost seen is that of a young “fair maiden.” She worked at the castle and finding herself with a painful toothache she approached the castle’s noble owner. He had a poultice made which helped. She unfortunately died after this but it is believed her ghost lingers because she is still grateful for her master’s help. She is seen at night--on a regular basis. Many believe she is a protective spirit--still watching over Dragsholm out of gratitude. The White Lady, the Earl of Bothwell and the Grey Lady are said to be the most active of all the ghosts at Dragsholm Castle. 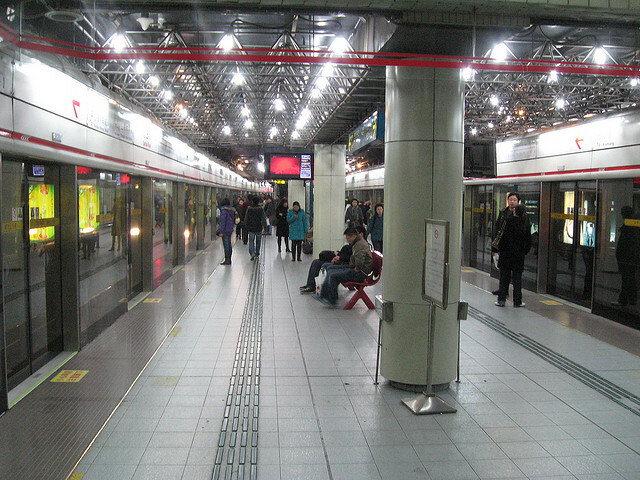 The Caobao Road Subway Station is on the original Number One Line in Shanghai, China. Subways are the most inexpensive and convenient form of transportation in Shanghai so many people use and pass through the Caobao station. Trains often break down here, when maintenance crews pull them out of the station they then find these trains work fine. Riders that use this station often report that doors will not open when trains are stopped at Caobao. One gruesome and scary story is told about a male passenger that was waiting for a subway at Caobao when a train hit and killed him. Witnesses afterwards stated they saw something odd push this man off the platform. 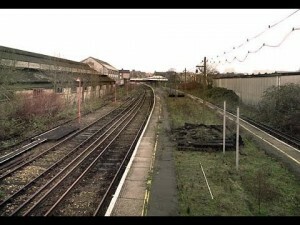 Yet others reported they saw this strange figure drag him to the tracks. Workers that clean the station after it is closed report hearing the eerie sounds of a woman’s laughter. They head down the tracks to a dark secluded spot where these sounds come from but once they arrive, no one is there. One young girl that committed suicide at Caobao was spotted for several nights right after her death in the station. She was always seen wearing a red dress and sitting on one specific station bench. The Shanghai manager of this subway line admits he has never visited this station--all the stories make him nervous. He believes the strange activity reported at Caobao might be related to the fact that the local mortuary is located near this station. Others point to the fact that eight mysterious deaths have occurred in this station since the 1990s. This Irish family it is said has been plagued by a curse through several generations. Arthur Guinness founded the Guinness Brewery in 1759. He amassed a great fortune. Ten of his 21 children died. After his death, several of his grandchildren also experienced misfortune. Several died of alcoholism and two died while in a mental institution. Other heirs, not inheriting their Grandfather’s business acumen, ended their lives in poverty. As more misfortune hit this family during the Second World War rumors started to spread the Guinness’ were cursed. The Stern Gang, a Zionist terror group murdered Lord Moyne, a British minister to the Middle East, in Cairo in 1944. Shortly before WWll ended, another member of the family, Edward Guinness the heir to the family fortune was killed in action. The curse continued to plague the family. In 1978, the family experienced four deaths. Lady Henrietta Guinness jumped off an aqueduct in Spoleto, Italy. In June of this same year a young Guinness heiress drowned in a bathtub while trying to inject heroin. In the same month, Major Dennys Guinness, aged 44 was found dead in Hampshire of an apparent suicide. In August, John Guinness an aide to British Prime Minister James Callaghan survived a head-on car collision in Norfolk but his four-year old son John was killed.Yet another son was injured badly. Before this, Lady Henrietta’s cousin Tara Browne died in a car crash in Chelsea in 1966. In 2005, the latest victim of this family curse died. 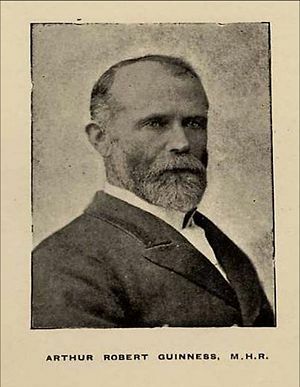 Robert Hesketh, 48 was married to the daughter of the Guinness heir, Lord Moyne. Hesketh died in his sleep of a heart attack. 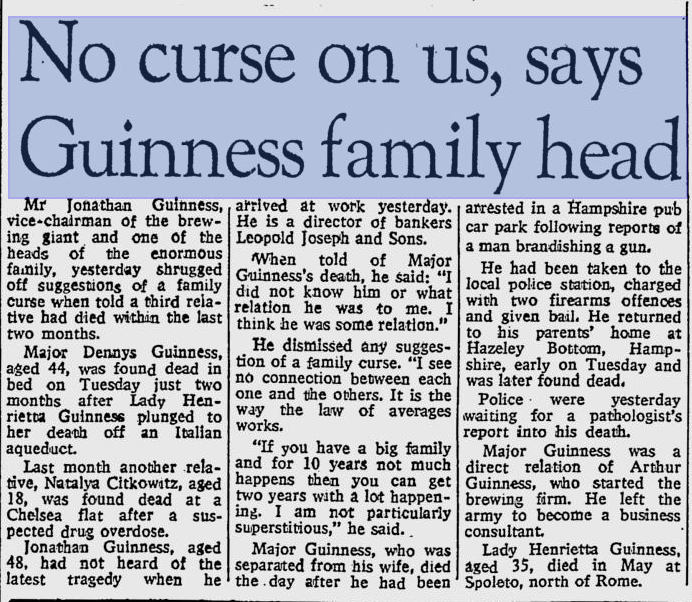 In an interview published in the The Glasgow Herald, in July of 1978, Jonathan Guinness, the vice-president of the brewery adamantly denies that his family is cursed. He states the tragic deaths are just coincidences.